The American Foundry Society hosts two premiere events that bring together folks from every corner of the metalcasting industry. 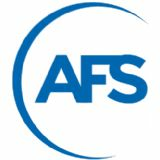 Metalcasting Congress, which is AFS' major technical conference, is held every year in the spring and consists of four days of technical sessions, awards banquets and a small-scale exhibition show. Every three years, Metalcasting Congress is held in conjunction with CastExpo, featuring full equipment displays, technical presentations, workshops, the Metalcasting Technology Theater, and Cast in North America (an exhibit opportunity for metalcasters to showcase their capabilities to casting buyers).